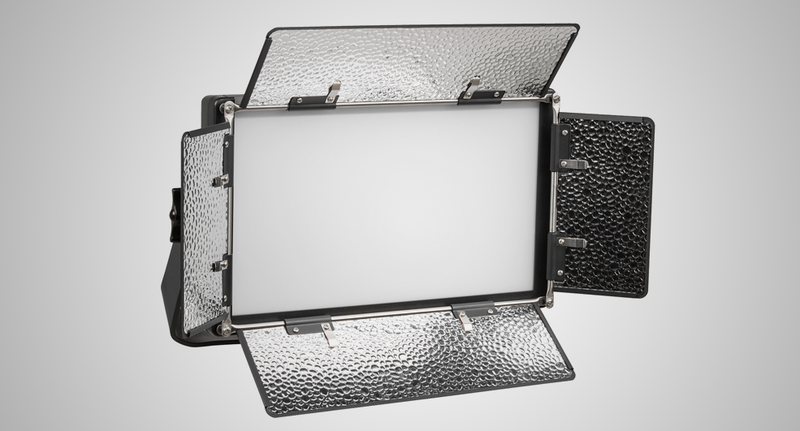 At the 2016 NAB Show Ikan will be releasing the next generation of its LED light family – the Lyra LED Soft Lights that bring enhanced features, improved design as well as upgraded materials. With the high CRI LED chips combined with a soft panel, the result is a beautiful, soft wrapping light. Lyra Soft Lights also have the unique ability to create nice, clean shadow. Products in the Lyra line include the Lyra Daylight LED half by 1 Soft Light (LW5), the Lyra Bi Color LED half by 1 Soft Light (LB5), the Lyra Bi-Color LED 1 by 1 Soft Light (LB10), and the Lyra Daylight LED 1 by 1 Soft Light (LW10). The new Ikan Lyra LED soft lights have high CRI/TLCI chip LEDs paired with a half-stop soft diffusion panel which gives the light a soft wrapping quality. The brightness of the light is consistent across all color temperatures, whether Bi-color or Daylight, and requires no need for diffusion. The 110-degree wide beam angle also allows for one fixture to light a larger area. The bright soft light gives off a clean shadow without any micro shadows, requiring no modification for a smooth and easy setup. The yoke’s strong steel tension knobs can securely lock the light in place at any angle. On the back, the large yellow control knob lets you adjust the light’s brightness, color temperature and DMX channels with just a few simple clicks and the LED readout provides extremely precise measurements for reference. Battery flexibility is guaranteed with both AB and V-Mount pro battery plates included. “One of the best parts of NAB is getting a chance to show off new and exciting products on the market such as the Lyra. This light has a higher CRI, great color and overall just creates a beautiful soft light,” said Lyra product manager Barry Garcia, in a statement.